Genetically modified (GM) food imports represent a major aspect of GM foods and the profits that have made biotechnology companies relatively successful in the industry. However, Britain and the rest of Europe are still wary of GM foods compared to those people in countries such as the United States, where GM foods are far less criticised. Despite the numerous health and safety concerns about GM foods, they are still imported into the European Union (EU), albeit under strict inspection, assessment and control. In fact, in a legal battle between the United States and Europe, it was cited that the EU had unreasonable restrictions on the importation of GM foods, which was affecting profits and livelihood of farmers. Ultimately, the United States was victorious in the battle. More recently though, there has been worry around rice from China. There is a strain of GM rice that is known as Bt63, which has prompted enormous concern. At present, all rice from China that is to be imported to the EU has to be recognised and certified as Bt63 free. Any EU importers of foods and relevant authorities must check that imported rice from China has verifiable, accurate and honest documentation. Food items already in the EU that are for sale are similarly checked for the strain. A key issue is whether the rice truly does pose a risk. The Bt63 is actually a protein derived from bacteria that is inserted into rice to eradicate pests such as insects. Those against the rice strain support their claims by pointing out studies elsewhere in the world that showed the strains of GM rice with proteins similar to Bt63 triggered allergic responses in people. 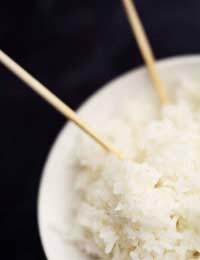 According to the Food Standards Agency (FSA) in the UK, the rice is not yet considered safe for consumption. If and when it is determined to be safe and is authorised appropriately, this may change. The main reason for declaring the rice unsafe rests on the limited availability of data. For the rice to be supported here in the UK, it must be thoroughly tested and shown not to have allergenic effects as well as being shown as generally safe as well. The rice issue is really only one of many though, because public mistrust of GM foods continues to grow. Although there have been legal battles with regards to the EU approach to GM foods, issues such as the recent rice strain from China highlight the regulatory and public issues with GM foods and their safety and testing. In places such as the United States, there is more widespread apathy and acceptance of GM foods, with smaller pockets of resistance. As countries such as China and the United States seek to export their GM products into the EU, it is likely that legal and ethical battles will continue. In particular, the demands for stringent safety testing of EU imports can be of some comfort to those who are against GM foods in Britain.